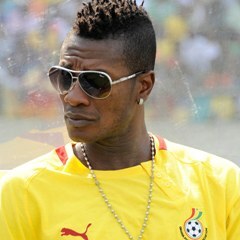 The captain of Ghana's Black Stars, Asamoah Gyan is already planning for life after football and he is delving into aviation. The 31-year-old Kayserispor striker has acquired license to operate an airline, according to Ghanaian President Nana Akufo-Addo, who made the revelation recently. The name of the airline is Baby Jet Airlines or simply called BBJ. It will focus on cargo for a start before taking on passenger transportation in the future. Meanwhile, Gyan has warned Ghanaians to be wary of fraudsters who are posing as his recruiting agency and promising unsuspected persons fake jobs at the airline. “Kindly ignore any social media page talking about recruitment 4 BBJ, its a scam, if you need info contact my team and @AnimSammy,” he wrote.